Collins’s approach to spooling out a little information at a time is to explain each new term as she goes, but some readers think that feels unnatural in a first person voice because the narrator would already know these things, so why is she explaining them to the reader? It depends on the story, in my opinion—Collins makes it work because of how she crafted Katniss’s voice. It is a very fine line to walk—I can’t tell you how many submissions I’ve received that start out with, “My name is X. I am Y years old. I live in a world that does Z,” an obvious example of how this approach becomes downright clumsy when not handled with Collins-esque finesse. Then there is the opposite end of the spectrum, in which the reader is given clues to work out rather than having any new terms explained to them. This approach needs just as much, if not more, finesse. It’s a process that some readers who are new to speculative fiction might stumble over the most, which is why I think there’s so little of it in middle grade and YA fantasy and science fiction. I’ve seen it called “incluing,” which is a silly word, but I don’t know of another name for it and the description of incluing in that Wikipedia link is exactly the kind of worldbuilding I—as a lifelong fantasy fan—prefer to see in the beginning of a book, particularly one set in a world that has no connection to our own, or if it’s in the future of our world far enough into the future that the society is unrecognizable to us, such as the society in Tankborn. Karen Sandler does a wonderful job at incluing readers as we read chapter 1 of the first book in the Tankborn trilogy. Pullman jumps right into the scene, with Lyra sneaking down the dining hall with her daemon. We’re hooked—she’s doing something sneaky, and we don’t know what. And we want to know. We don’t even know what the daemon physically looks like until paragraph 4, and even then we don’t know why he’s called a daemon or what makes a daemon special. What is a daemon, anyway? We don’t know! In fact, this is one of the major conflicts of the book—we need to read more to find out about daemons, and further mysteries are revealed as we read that deepen our understanding of daemons and of Lyra’s world in general. As we discover more clues that intrigue us, we want to know more, and keep reading. But the line between intriguing the reader and confusing the reader is very thin, and I would argue that for some readers it’s in a different place than for others. Those of us who are familiar with fantasy might be more willing to patiently wait for more information about daemons because we trust that this author will let us know what we need to know when the time is right. We know that they’re teasing us with this information so as not to overburden us within the first few pages of the book (or, in the case of The Golden Compass, because the reader can’t know what the majority of people in that world don’t know, either). In situations in which you need to establish a world that’s entirely different from our own, I find that putting a character in a situation that’s somewhat familiar to the reader can help with establishing the unfamiliar. 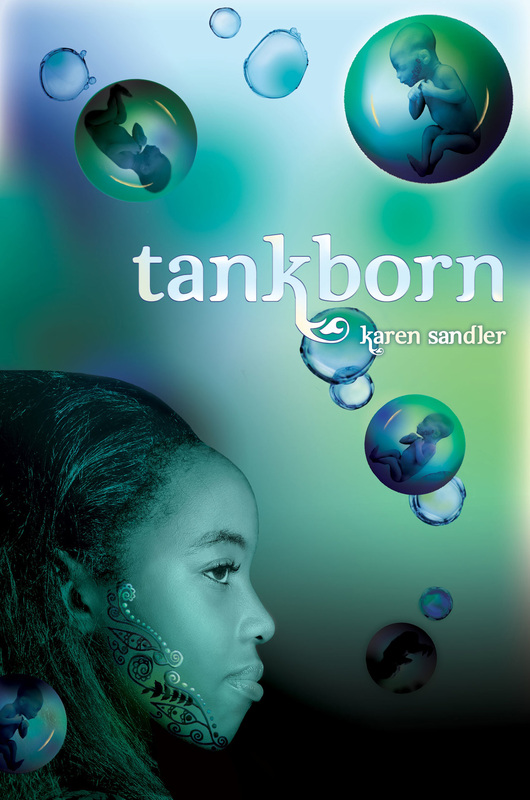 In Karen Sandler’s Tankborn, for example, Kayla has to watch her little brother instead of going to a street fair with her friends. While Kayla calls him her “nurture brother” instead of just her brother, it’s still a situation to which a lot of readers can relate, even if it is set on another planet and her brother is catching nasty arachnid-based sewer toads instead of familiar Earth frogs and toads. M. K. Hutchins, author of Drift, approached it in a completely different way. She starts with a dangerous situation—a family on the run from authorities, splitting up. The mother, our main character Tenjat, and his sister Eflet are embarking on a terrible journey that’s almost certain death, setting off on a raft in the middle of the night into an ocean full of snake-like monsters, and leaving the family’s father and smallest brother behind to face unknown punishment. While perhaps no reader has been chased by authorities in the middle of the night, it is a dangerous situation and a parting of family—mixing the familiar (family) with the unfamiliar (a dangerous situation in a completely new setting). It’s the difference between showing and telling. Philip Pullman, Karen Sandler, and M. K. Hutchins all show us how their worlds works, rather than pausing to tell us how it works (“in this world, all people are born with an animal companion called a daemon”). Telling can work, though, especially in small doses—Katniss’s voice is so conversational that the brief moments of telling in the first few pages of The Hunger Games work, particularly because Collins is mostly showing what Katniss is up to. The brief pauses to “infodump” feel like the reader is being told a story by a storyteller, like a friend telling a story over the kitchen table after a nice big meal would pause and explain something you didn’t understand (a friend who’s a very good storyteller). It’s an awareness of audience that most speculative fiction doesn’t have the luxury of. Showing isn’t always better, and telling isn’t always bad, when done right and mixed in with showing. Whichever method you use, remember that sometimes readers will trip over new words so you need to give them as much context as possible without over-infodumping. And here is where the art comes in. I can’t tell you what that balance is, but if you look at examples like the ones above, you’ll get a better feel for how much to reveal and how much to hold back in your first few pages—revealing enough to orient your reader and give them a sense of the differences of this world (while grounding them in something familiar like Lyra’s hallway or Katniss’s humble home) while seeking to avoid overburdening them with too much all at once. What about you? How have you found the right balance of introducing your world without overburdening the reader? What books do you recommend that do this particularly well? Previous PostM.K. Hutchins Blog Tour: On Mythology, Maya Culture, & More!Next PostBook and Activity Suggestions to Match Your Summer Adventure: Ballparks!